Products in other states are offered through World Corp affiliate American Republic Insurance Company. At this time, World Corp does not have a separate company website. World Corp provides Medicare supplementary programs under a variety of logos and brand names including “CompletePlus.” In states that World Corp doesn’t service directly, these products may be obtained through World Corp partner, Americare Group, 800-280-7309. In 2010, A. M. Best rated World Corp, excellent, “A-,” in its financial strength category. There are ten standard Medicare supplement plans (also known as Medigap plans) and ten different benefit packages. The different plans are assigned letters, A, B, C, D, F, G, K, L, M, and N. For a complete list of the benefits of each plan, please visit the CompletePlus FAQs page on their website. Benefits of CompletePlus include affordability, featuring couples’ discounts and preferred rates for those whose health has been good. These two discounts may even be combined! In addition, CompletePlus is convenient; benefits remain the same from year to year, and claims service through Medicare is swift and automatic virtually eliminating paperwork. “ExpressLane” claims service is available in all 50 states and makes filing a Medicare claim a snap! CompletePlus is easy for the member to control and features a shortened on-line application process. Members also have access to any physician, hospital, clinic or other health care professional or facility of their choosing. It’s important to note that coverage varies from state-to-state so each prospective member should check on line to see what specific programs are offered in their locale. Entering a zip code opens product pages for each state in which CompletePlus programs are offered. Shopping for a Medicare supplement policy through CompletePlus is a breeze with the company’s informative and user-friendly website. From the home page, consumers may select to watch an updated and informative video that clearly and accurately explains available Medicare coverage options. Videos are also available which describe the application process and selecting medical service providers. Additional important and helpful information is provided on the CompletePlus website. This enables each consumer to find the best Medicare supplement program to fit their individual needs. For those customers looking for the most detail, a sixty page Medicare and Medicaid guide is also available on the CompletePlus website. This up-to-date 2011 document provides answers to most any questions about these government health programs and available supplementary (Medigap) products. Once the on-line application process is complete, CompletePlus responds with an immediate and accurate rate quote. There is no waiting or wondering. Discounts are also shown immediately. 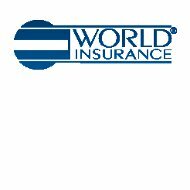 World Insurance has been in business since 1903. They are specialists in the health insurance industry. World Insurance is a member of the American Enterprise Group, Incorporated which includes American Republic Insurance Company. Career opportunities, job listings and other employment related information may be found for all three companies and the American Enterprise career page. Options on this page allow visitors to explore openings and make applications on line. Company benefits are also detailed, as are opportunities for professional development. Between the Omaha and Des Moines offices, American Enterprise employs more than 700 insurance professionals and support staff. They market their products through a network of 15,000 agents and representatives covering 49 out of the 50 United States. As with most major U.S. health insurance providers, American Enterprise is proactive in providing its members protection against unethical treatment and fraudulent practices. The fraud page provides consumers immediate access to confidential and anonymous reporting tools. By working diligently to prevent fraud, American Enterprise is doing its share to help keep providers honest and the costs of medical services down.